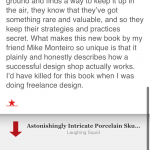 I was very excited to try out Sunstroke when I first heard that it was coming to the iPhone just a few days before it’s release. When it finally came I was not disappointed. 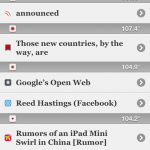 Sunstroke is an RSS client developed by Gone East that syncs with your installation of Shawn Inman’s Fever. The client works just as advertised. 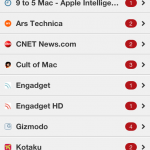 It gives full access to your feeds, saved items, and hot links which are the most popular links among the RSS feeds that you subscribe to. Navigating through the application is easy and intuitive, tapping on a feed group will list all of the items in that group with options along the bottom to show read items and to toggle between sorting by feed or by date. Tapping on the arrow along the right will list all of the feeds in the chosen group if you’d like to read items from a specific feed. From the individual item view you can tap on the title to open the item in Sunstroke’s integrated browser or you can save it using the button on the bottom left. If you’d like to jump to the next or previous item in your current list you can use a pull-t0-refresh like action to move between them, which I’ve found incredibly handy for those feeds where I want to read everything published. 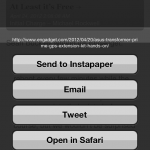 Along the bottom right in the individual item view there is a sharing button that can be used to open the item in Safari, tweet the link, email the link, or send the it to Instapaper. And, there are even more options for sharing in the application’s settings alongside the ability to show unread counts and tweak some of the application’s behavior. The Hot Links feature works just like you’d want it to, giving you the option to change the date range along the bottom of the screen. The links are listed with the corresponding link temperature along the right so that you have an idea of how popular a given link is among the feeds that you subscribe to. 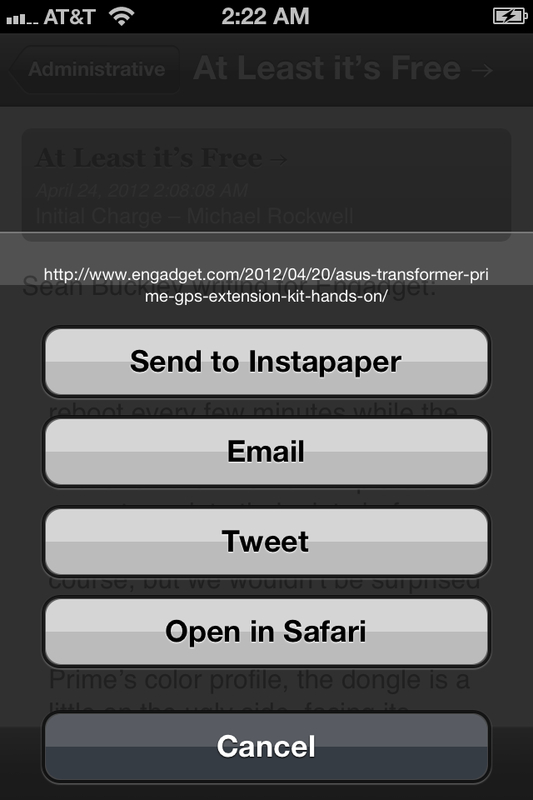 Tapping on the link will bring you to the web page unless you’re subscribed to that sites RSS feed, in which case it will display the individual item without having to load the web page at all. 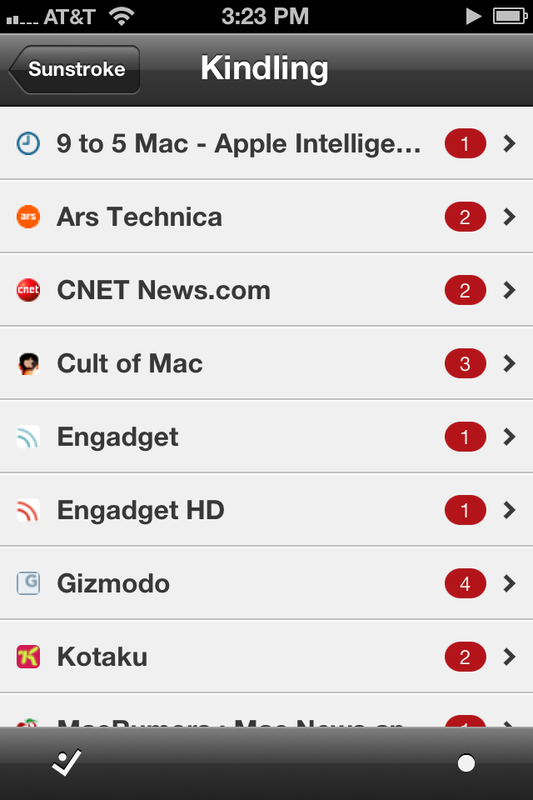 And, tapping on the arrows along the right will list all of the RSS feeds that have linked to that page. I don’t find myself using the Hot links very often, only if I haven’t read my feeds in a few days and want a way to catch up quickly. I’ve always been more of a “subscribe only to feeds that matter so that I can scan every headline” kind of guy. But, I still find it useful on occasion. The design of the application is just wonderful, using a cool (or should I say hot?) 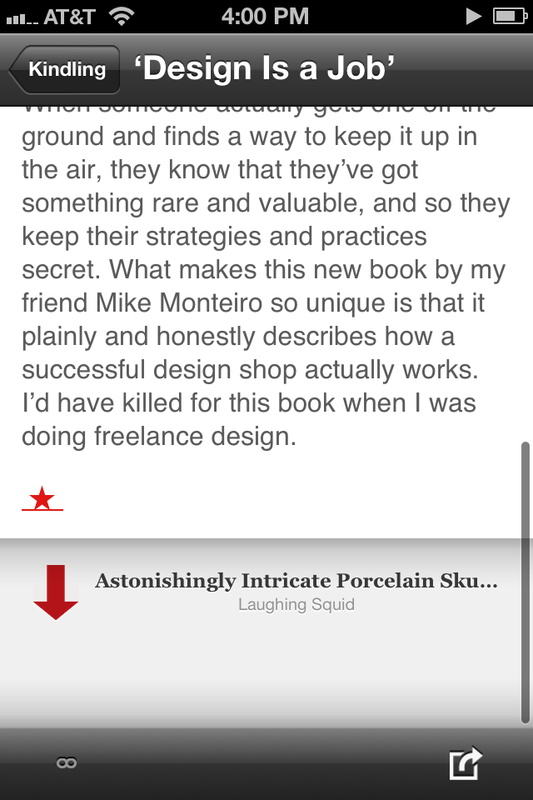 white, grey, and red color scheme that makes the applications stand out among most of the feed readers I’ve seen for iOS. The application even pops on the iPhone home screen because of it’s bright red icon. The application feels really stable to me only hiccuping a few times during the month that I’ve been using it. The few errors that I’ve gotten were that the Fever installation was unreachable but it’s unclear whether that was the application’s fault or a blip with my web server. What I do know is that I haven’t seen the error in several days and I’ve never had the application crash on me. If you, like me, have fallen in love with Fever but want something that’s a little bit faster for viewing your feeds on your iPhone, I suggest giving Sunstroke a try. 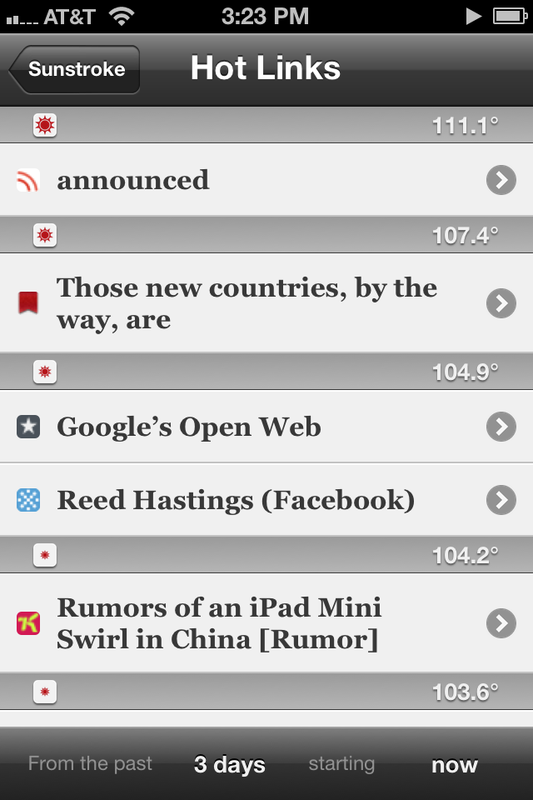 The application is $4.99 which may seem high compared to other RSS clients on the iPhone. 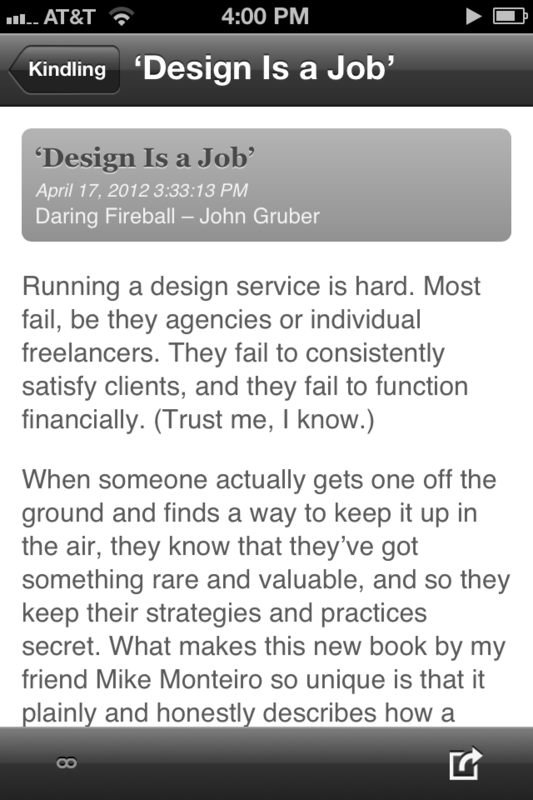 But, most of those clients aren’t worth your time. And, Sunstroke is competitively priced with other (what I would consider to be) premium RSS clients like NetNewsWire and Reeder. 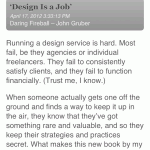 But those clients only sync with Google Reader, and I enjoy using Fever much more than I ever enjoyed using Google Reader.